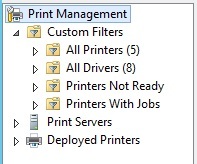 2. run� Printbrm -b -f Printserverconfig.printerexport in the same window, this will take some time to complete especially if you have a large number of drivers, wait for the tool to fully complete its task. 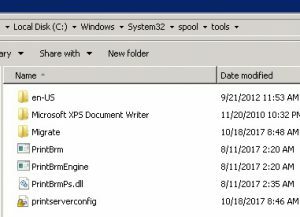 -sidenote� I have seen this tool not work as expected when using PowerShell to be safe when using printbrm.exe you should use it in an administrative command prompt. 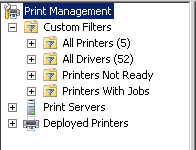 Next PostNext Are those files being accessed?